SingCore engineered flooring reaches new standards and raises the bar on existing flooring systems. 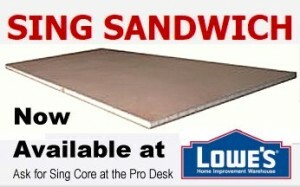 Sing floors are lightweight, high strength, true flat and come in a variety of materials that are nearly unlimited. 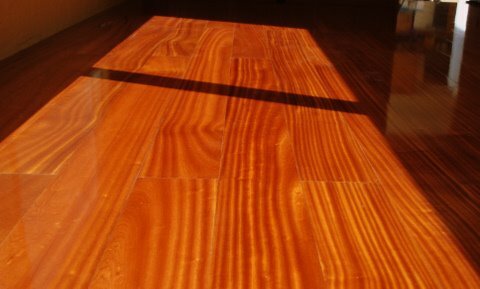 Our wood flooring is a joy to experience the installation and offer beauty and elegance to any home, or yacht. 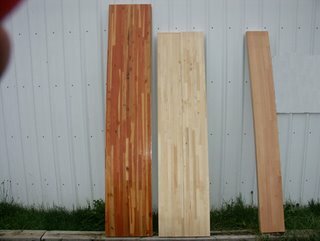 You are not at the mercy of the manufacturer; you pick the flooring that you want, with the attributes and specifications that you desire. 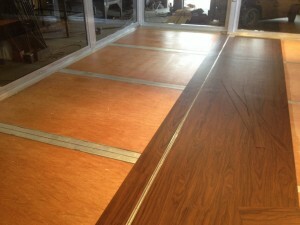 For our customers who desire a more traditional look to their hardwood/laminate flooringis our plank flooring. 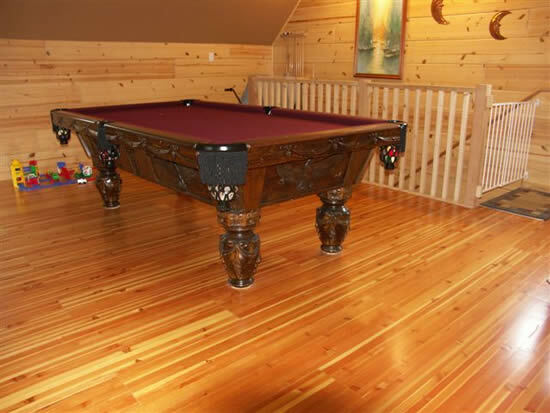 Our wood veneer features the best and most beautiful wood grains and our planking system slips together flawlessly for a fit to rival any type of hardwood flooring system out there. 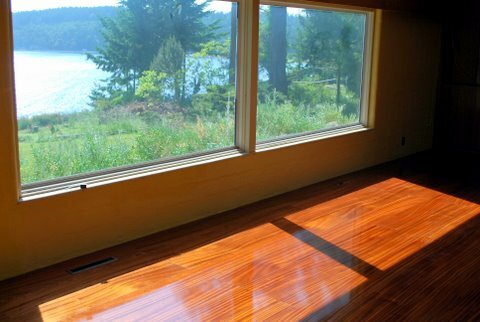 You can see that our flooring is more than just wood, it’s wood and insulation combined to become one and then to become one with your home. 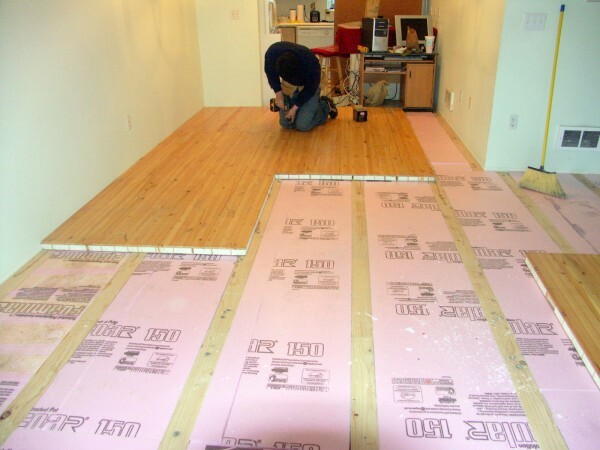 Strong, lightweight, insulation and sound deadening qualities especially useful for homes with more than 1 story to reduce the sound of walking upstairs. 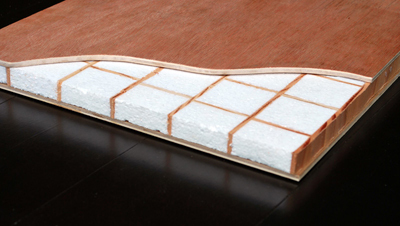 Sing insulated, engineered flooring is the newest concept in flooring, by using our patented SingCore product, we have made a flooring system that has insulation and flooring combined in one package. 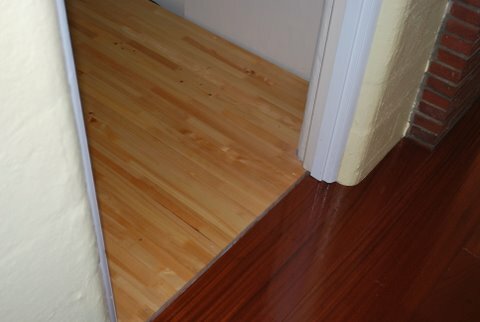 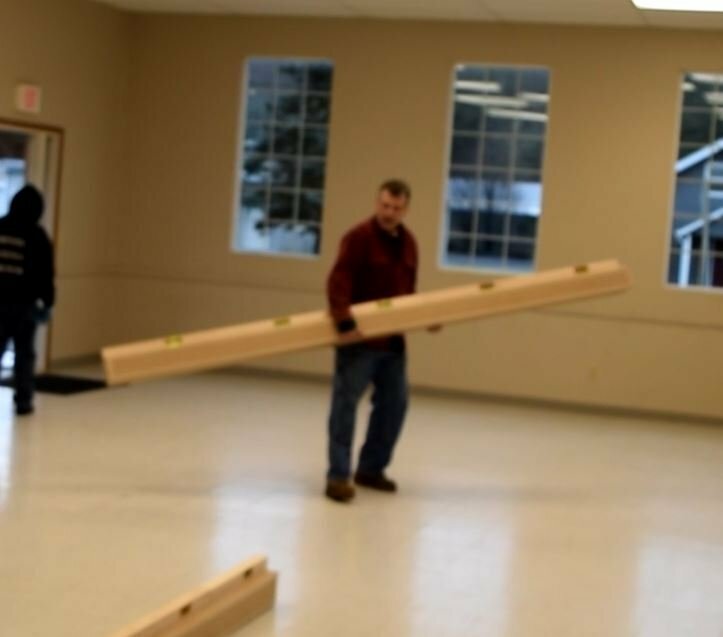 Besides being incredibly strong, our flooring is lighter than hardwood flooring and other types of flooring such as oak and maple flooring you normally find at lumber stores, and better than the laminate flooring you find at those big box stores that sell you everything from a screw-driver to 5 gallons of paint. 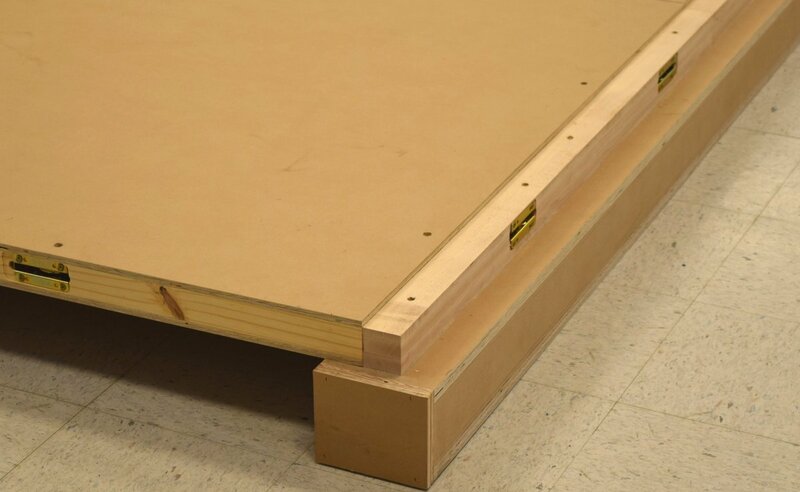 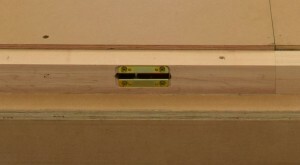 Keep in mind our patented torsion box flooring is handmade in the USA. 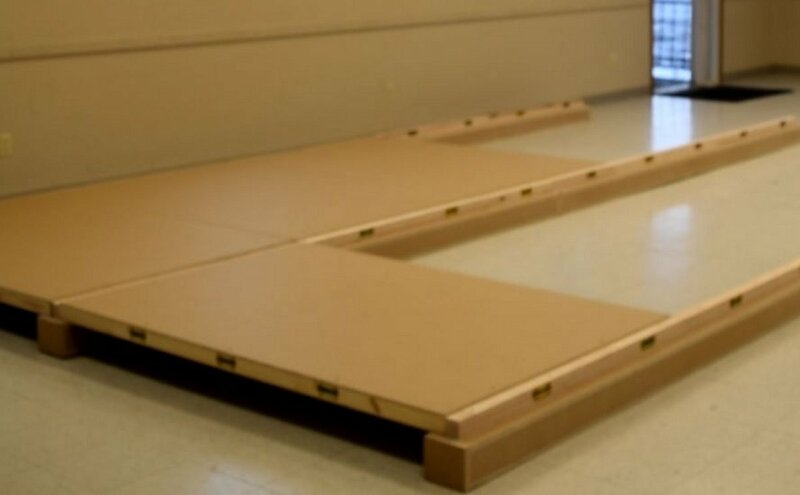 Sing floors are available in nearly any flat surface material to meet or exceed your architectural specifications including our patented non-warping wood butcher block that could be used for almost anything. 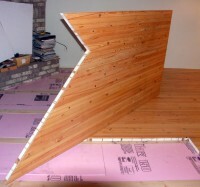 See: Butcher Block for ideas. 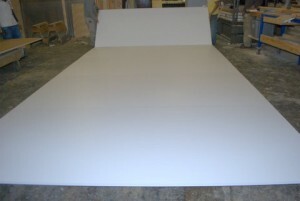 (finished sizes are 47″ x 95″) sheets. 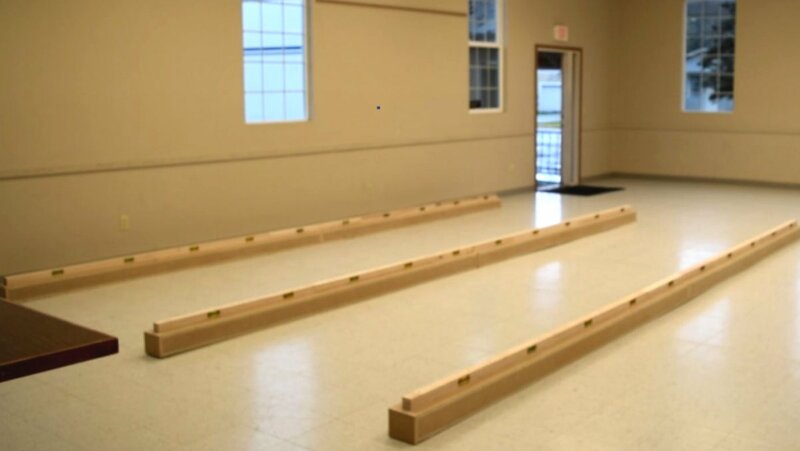 SingCore’s simple pricing method makes it easy to price your project by selecting your finish and dimensions. 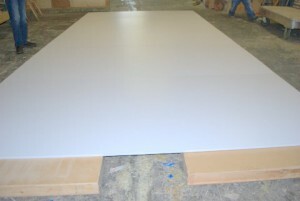 Discounts:purchase of 1,000 Sq./Ft. 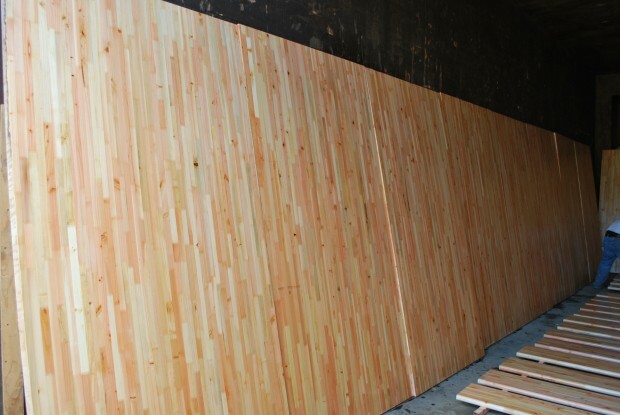 or Quantities of 50+ panel purchases will receive a discount, contact for pricing and discount. 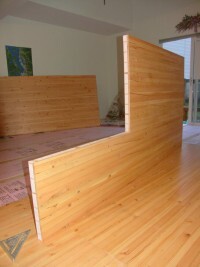 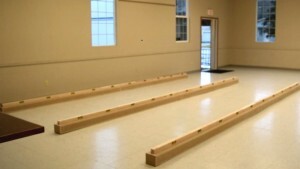 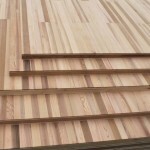 Panel floor: Priced per linear foot, based on using port orford wood cedar or any other material desired. 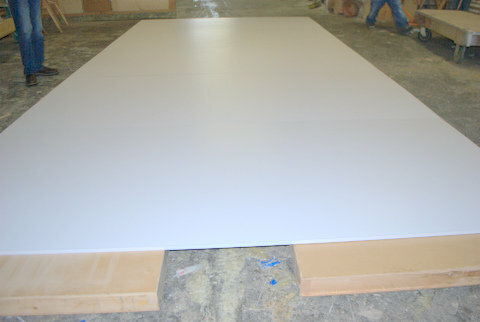 Pictured above and below: SingCore Flooring panels for a NASA clean room. 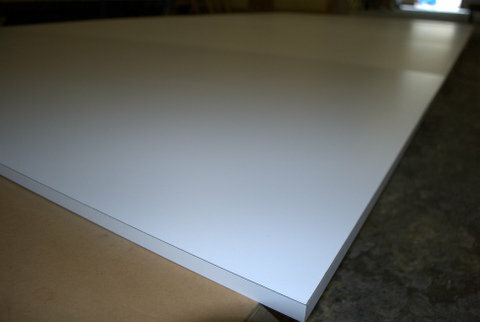 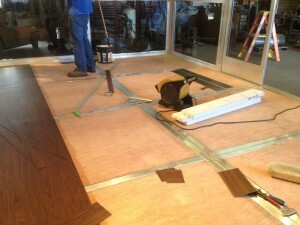 Here photos of our solid panel flooring being installed. 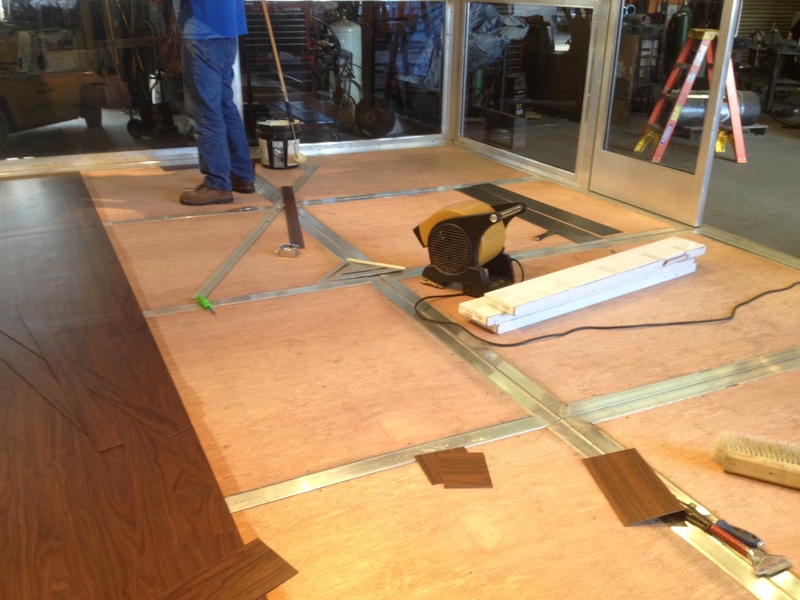 Installation is quick and our flooring can be cut in straight lines or angle cuts, it doesn’t matter and will still look beautiful. 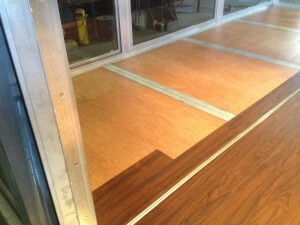 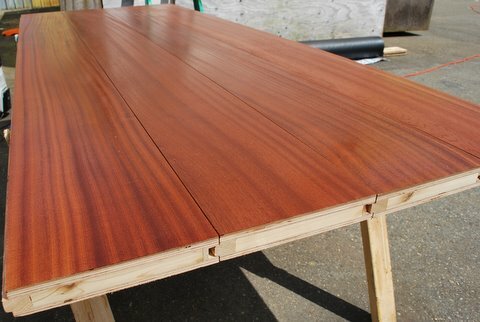 Our flooring is also given 5 coats of polyurethane to maintain the wood color and protect it.